Before Netflix (before I had it at least) I would have said I was a TV addict. I do love TV shows, but I have always been awful and remembering times and channels. So often I will see an advert for something I want to watch and I never remember. I have fallen into a comfortable routine of having a lot of choice any time I want. I use Netflix and Now TV for different shows. These players have built it into my brain that one is not enough. 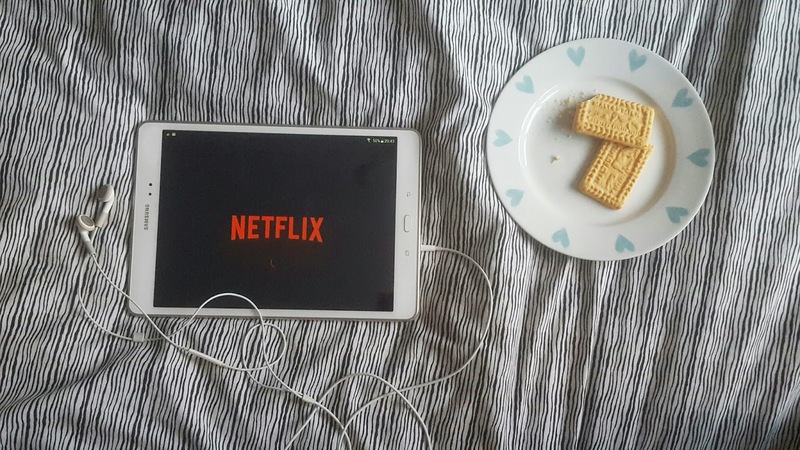 I love to binge watch. There are a few select shows I watch as they come out on both platforms week by week, but if I'm looking for a new show I'm looking for one with a couple of seasons and plenty of episodes to sink my teeth into. There are movies and TV shows for any occasion. In my case there are a few that I have to watch with my partner. Shows like 'How to get away with Murder' or Game of Thrones'. If Luke watched one of these without me it's likely I would throw a fit. Having two Xboxs is amazing. Now I have even more obsessions because I can sit downstairs and binge watch all kinds of series that are a bit to girly for Luke to be interested in. There are too many to tell you them all but I thought I would share some of the series I like to watch by myself with a nice cup of coffee all on my lonesome. When I originally saw Netflix advertising this when it first came out I thought what a load of S**t. It didn't look appealing to me at all. Cheap and s**t. A couple of weeks ago the PMS left me in a flood of tears for no reason...the hangover didn't help much either. This is when I decided to give it a watch. When you’re feeling gross and gloomy what better than something about Love to make you more miserable, right? But it wasn’t what I expected, not mushy at all. Love is so witty and easy to watch. I finished the entire series over the weekend. I love Period Dramas. I started watching Reign for this reason, plus there was already 2 and a half series on Netflix just waiting to be binge watched. However at first I wasn't to keen. It is clearly aimed at for a teenage audience(especially in the first season) I'm not to sure some of the costumes are 100% historically correct but I can't deny I have fallen for this show. As the seasons have gone on I no longer feel like it is aimed at such a young audience...or maybe I am still 15 at heart! The second half of the third series is currently being added week by week so the binge watching has come to an end for this one, but it seeing as it has been renewed for a fourth season it will stay as a firm favourite.